I drove to Estral Beach, Michigan, and talked to several locals. They stated it was private beach. There actually is no beach. There are seawalls right behind the houses. Save your money and gas. 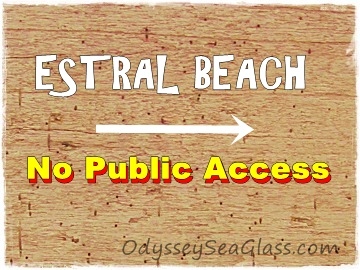 On this web site, someone falsely put a beach on Lake Erie, in Michigan called Astral beach. The claim is that there is "boat loads" of beach glass.